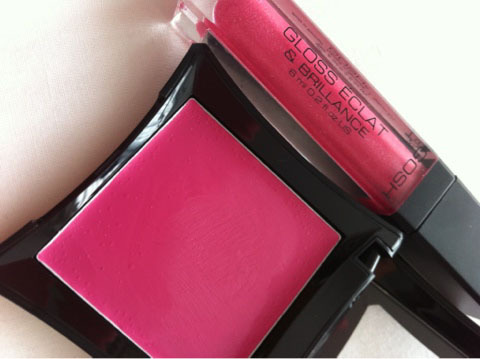 Illamasqua Cream Blush in Laid is different from any cream blushes I own. It's more of a warmer blue toned pink. It looks mega bright in the pan and you need a very light hand when applying. 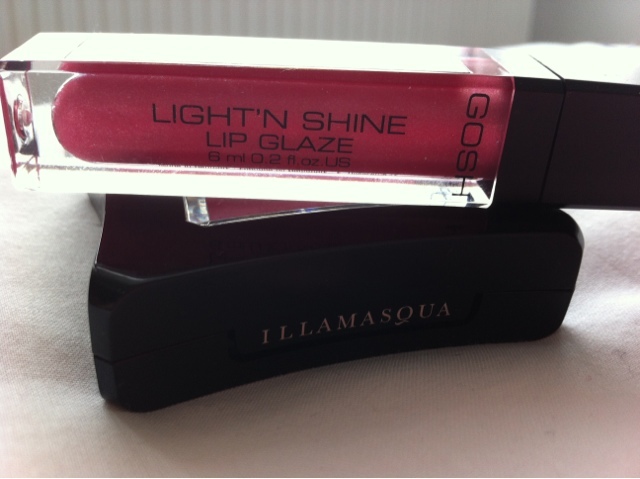 I've been teaming up this vibrant blush with GOSH Light'n Shine Lip Glaze 08. 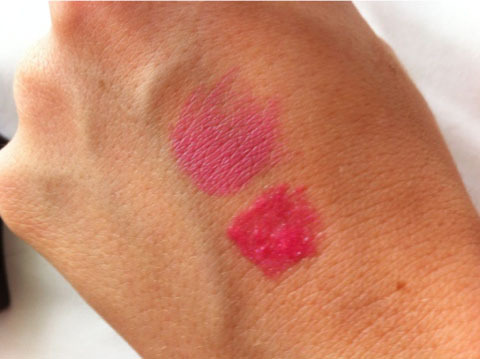 It's the perfect lip colour to compliment Laid. My next purchase will hopefully be Rude blush which is a pretty peach colour! What do you think of my lips? This particular shade is so pretty and perfect for day and night, I'm not really sure about the light and wish you had an option to turn it off during the day, because the light is so bright I find it hard to apply ha ha! What products have you been teaming up with lately?